Doors open 6pm, event starts 6.30pm sharp! After film there will be open discussion about Climate Camp Aims and Principles and a chance to have all questions answered. Also, some short clips of previous Climate Camps and Ecotopia. Ever wondered what exactly Climate Camp is? What it hopes to achieve? How is it organised and who is organising the Irish one? Now is your chance to have your questions answered, contribute your opinions and hopefully get more involved in this ambitous, challenging project, which has great potential to bring people together in the battle against climate and social injustice. When the Soviet Union collapsed in 1990, Cuba’s economy went into a tailspin. With imports of oil cut by more than half â€“ and food by 80 percent â€“ people were desperate. This film tells of the hardships and struggles as well as the community and creativity of the Cuban people during this difficult time. Cubans share how they transitioned from a highly mechanized, industrial agricultural system to one using organic methods of farming and local, urban gardens. It is an unusual look into the Cuban culture during this economic crisis, which they call â€œThe Special Period.â€ The film opens with a short history of Peak Oil, a term for the time in our history when world oil production will reach its all-time peak and begin to decline forever. Cuba, the only country that has faced such a crisis â€“ the massive reduction of fossil fuels â€“ is an example of options and hope. The slideshows and shorts will be from the Irish Ecotopia and Previous Climate Camps. If you have photos or footage to add please send it to me asap. The food will be Vegan/Vegetarian, food prepared by Seomra Spraoi’s Kitchen Group. If you want to help or bring extra deserts I can put you in touch with kitchen group. The event is free entry, with a suggested donation for food. It is a non-alcoholic event. The event will end about 11pm. 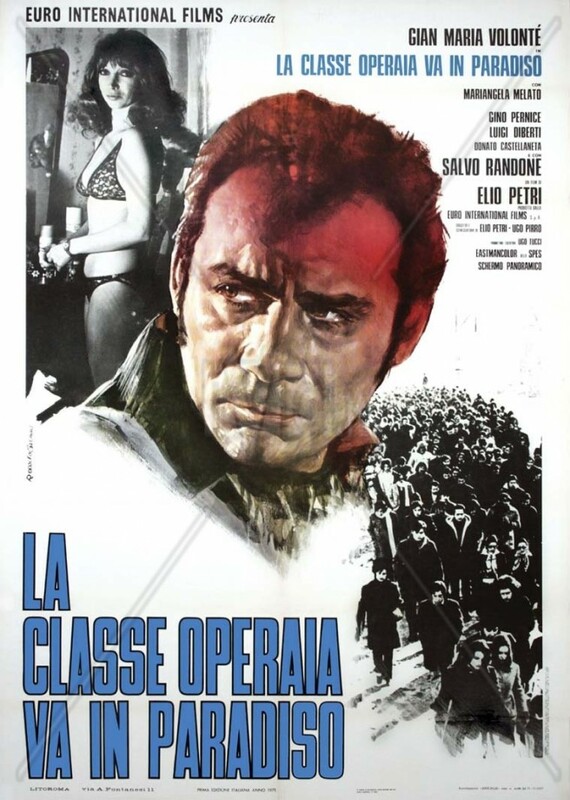 The Working Class Goes to Heaven (Italian: La classe operaia va in paradiso) is a 1971 film directed by Elio Petri. It depicts a factory worker’s realisation of his own condition as a simple â€œtoolâ€ in the process of production and, implicitly, his struggle with the trade unions. The worker in question, Lulu, is described in the first part of the film as a Stakhanovite. Volta Cinema is a collective designing events that use film as a hinge for discussion. We aim to use and abuse the medium to enquire into the conditions in which we find ourselves. We aim to assemble themes and discussions simply so we can begin the conversations that move us on to a better world. You are invited to a participatory discussion based workshop (no pressure!) exploring participants attitudes on the themes of anti-racism and discrimination. For: Anyone who is interested in exploring this topic who supports the work of RAG. It would be helpful to have a good fluency in english. 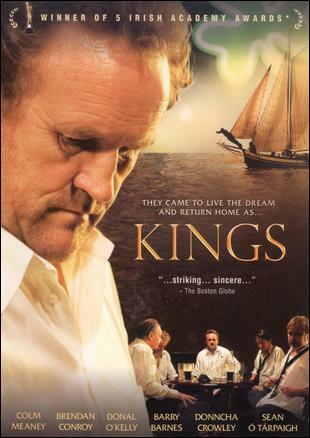 â€˜Kingsâ€™ is a 2007 Irish film written & directed by Tom Collins and based on Jimmy Murphy’s play â€˜The Kingsâ€™ of the Kilburn High Road. The film is bilingual, having both Irish and English dialogues. It was premiÃ¨red at the Taormina Film Festival (Italy) in June 2006, and was selected as Ireland’s official entry for the 2008 Academy Awards in the best foreign-language film category. The film tells the story of a group of Irish friends who, after emigrating to England 30 years previously, meet for the funeral of a friend. During ten months in 1936 and 1937 some 3 million men, women and children were involved in one of the most radical revolutions in world history. In the countryside surrounding Barcelona peasants formed communes on land confiscated from old ruling elite. Workers took over the factories. Police were replaced with civilian self-defence forces. In Catalonia three-quarters of the economy was under anarchists self managed and democratic control. Hotels, shops, barber shops and restaurants were collectivised and managed by their workers, often making them more efficient. In some communes money was entirely eliminated and replaced with vouchers and bartering schemes. 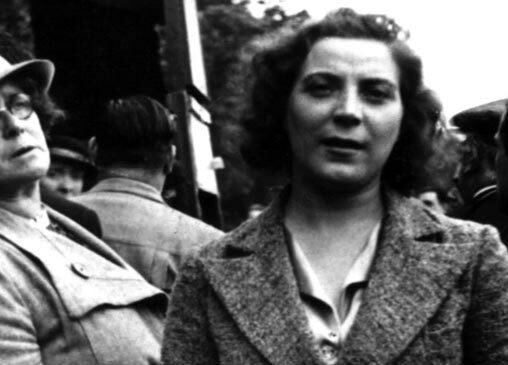 This drama-documentary tells the story of Ethel MacDonald. A forgotten legend, her story ranks alongside the courage of â€˜La Pasionariaâ€™ and the legendary â€˜Odetteâ€™. Whilst both these women sustained world-wide recognition, our Scots heroine dwindled into obscurity and remains forgotten to this day. Ethel MacDonald was born in Bellshill, West of Scotland, in 1910 the free-spirited daughter of a large working class family – but from such humble beginnings often come extraordinary stories. At the time of our story Ethel is 27 years old. She is determined – almost to the point of obsession. She is confident of her values and her abilities and is completely fearless. As an Anarchist she is politically aware and has a burning desire for social justice. Ethel was dark-haired, small of stature, and mesmerising company. She was a classic Scottish auto-didact – everything she has learned has taken will-power, study and patience. She is a mercurial character – fast-talking, quick-witted, a workaholic. But she is also a constant friend. In ‘An Anarchist’s Story’ – through her own words and via our reconstructions – one characteristic more than any other shines through: her deep, undying passion. Ethel’s own intimate recollections are presented through a definitive mix of documentary and drama, re-visiting the Killing Fields that were the Spanish Civil War. Supporting commentary spoken by David Hayman paired with expert interviews, including Noam Chomsky, provides background knowledge of 1930’s European Politics and a further insight into the young Scot’s motives, actions and social situation. The film links her own personal drama to specific archive footage of Barcelona in disarray â€” an image Ethel MacDonald came to know so well. Those travelling from afar for the bookfair, and are looking for accomodation, WSM will try to arrange this on the night as well. Please be aware that accomodation can not be guaranteed. If you can offer a bed or floor space for those travelling to the book fair, please offer on the night at the WSM stall. 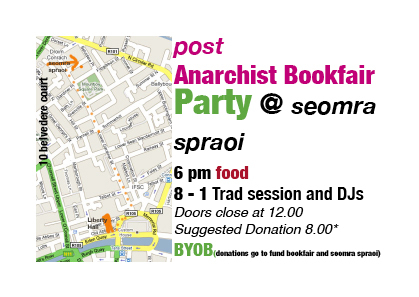 Seomra Spraoi will be again doing a stall & workshop at this years Anarchist Bookfair, which is organised by the Workers Solidarity Movement (WSM) in the main room in Liberty Hall. Guests are invited to bring their own alcoholic beverages, snacks and baked goods to share in what is likely to be an unforgettable night of high-minded DIY scandal and debauchery. The Ball shall be held on MARCH 28th, 7PM to 1AM. Doors close at 11PM. The venue is SEOMRA SPRAOI, 10 BELVIDERE COURT, OFF MOUNTJOY SQUARE. We hope to see you there, unless you see us first. This Tuesday at Seomra Spraoi, the Experimental Film Club’s â€œFilms Politicallyâ€ screening series continues with Jean-Luc Godard’s â€˜La Chinoiseâ€™. â€˜La Chinoiseâ€™ was made on the cusp both of the uprisings of May ’68, and of Godard’s conversion to a staunchly dogmatic Marxist perspective (and categorically uncommercial cinematic approach) that would alienate many of his viewers in the coming years. As such, this tale of a group of Maoist students holed up in a Parisian apartment, debating, performing and excommunicating each other, seems to straddle two worlds. 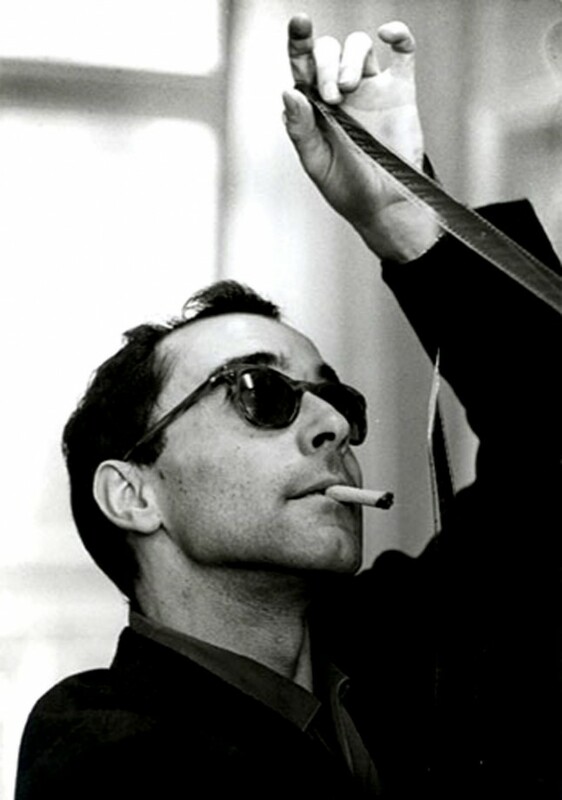 Although didactic techniques are part of Godardâ€™s artillery here, so is the playfulness and irony of his earlier work, and the result is a film that is both acutely sceptical of and earnestly affectionate for the revolutionary aspirations of the young. For more information on the series, please visit filmspolitically.blogspot.com or contact experimentalfilmclub@gmail.com. The Experimental Film Club is dedicated to creating forums for the exploration of diverse and often neglected film works. It is perceived that there are a large number of people interested and engaged in aspects of experimental filmmaking in Dublin but no meeting point to build on this shared interest and knowledge. The club has been organising monthly screenings in the Ha’penny Bridge Inn since March 2008. Seomra Spraoi is an autonomous social centre in Dublin city centre. It is run by a non-hierarchical collective on a not-for-profit basis. 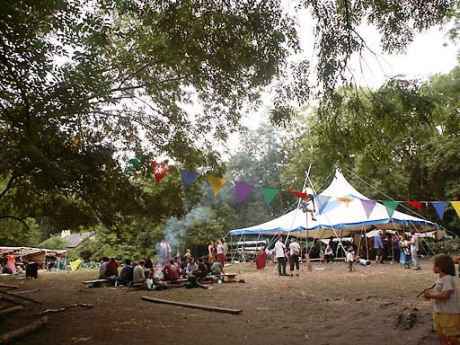 It hosts workshops, gigs, political meetings, film screenings, a vegan cafe and lots more. The centre seeks to be a hub of positive resistance, in a city and society where public spaces have been eaten away by consumerism, property speculation and the culture of the car. La Zona is a contemporary satirical thriller by director Rodrigo PlÃ¡, contrasting the poverty of modern Mexico with heavily fortified, gated communities for the wealthy overclass and their families. The title refers to a fictionalised posh district in Mexico City, an arcadia of beautiful homes, resplendent lawns and kids in smart school uniforms, fenced off from the slums with razor wire, surrounded by security guards and CCTV, and boasting legal exemptions from conventional police access, signed off by judges who have links with the rich lawyers who live inside. The community is horrified when a wealthy woman is brutally beaten, robbed and murdered by a trio of criminals who have somehow breached the perimeter: two of them are shot dead by guards and armed citizens, but the third, a boy, is still at large somewhere in their creepy Westworld. 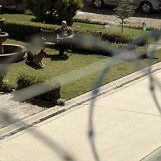 What embarrasses the citizenry of La Zona is that one of the thugs was from their security force. It looks like an inside job. So they decide to settle their own business their own way, and have in any case nothing but contempt for a feckless police force drawn from the same class as the wrongdoers. When a suspicious cop finally gains access to ask questions about gunshots heard from over the fence, he is stonewalled; the burghers cover up the fact that there was ever a murder at all, they get rid of the bodies and initiate a huge manhunt to find the boy – and kill him. It is a shrewd study in group pathology, and has the arresting feel of a movie set five minutes into the future: it is not entirely clear that this is a fantasy, a what-if setup, or whether it is being proposed as simply a dramatic variation on something that everyone knows is the case. 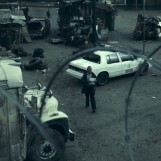 In the vast lawless sprawls imagined by this movie, the police are ineffectual in rich areas as well as poor: this could well be accurate – or perhaps simply on the verge of being accurate. Either way, it is a smart movie, dramatically lean and mean, exciting and often shocking. The Workers Solidarity Movement proudly presents the 4th annual Anarchist Bookfair which will take place on weekend of the 7th of March. The Bookfair this will host workshops, stalls from campaigning groups and book stalls. Food & music after the Anarchist Bookfair in Liberty Hall. Right after the bookfair an evening of entertainment will start in Seomra Spraoi. Seomra Spraoi is located at 10 Belvedere Court, off Gardiner Street in Dublin 1.